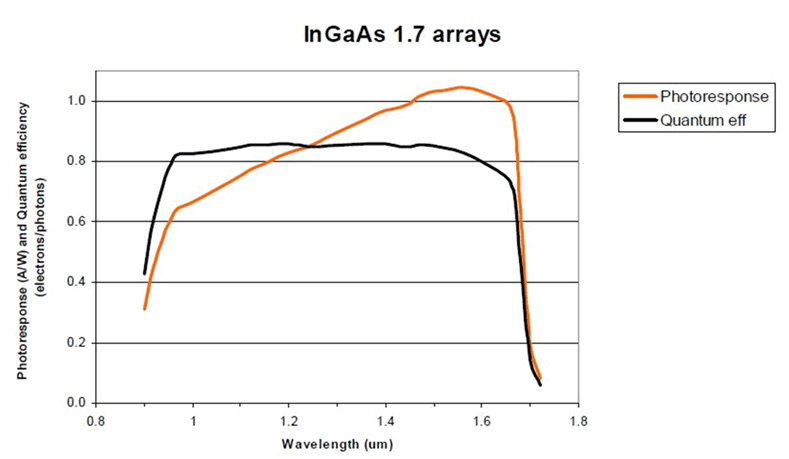 The Xeva XC-130 camera accurately captures and analyzes wavelengths from 900nm - 1700nm. It features operation at room temperature, a wide dynamic range, a fast data capture rate, and a large array that makes it ideal for large beam NIR laser and telecom mode field analysis. The Xeva XC-130 InGaAs high resolution camera is available with the following versions of software. What is the saturation level of the Xeva XC-130 camera? At what wavelengths is the XC-130 most responsive? What is the framerate of the XC-130? What beam sizes can I measure with the XC-130?